This year myself and others from GameSparks ventured down to the annual Games Fleadh, Ireland’s longest running event centred around game creation. Held in Thurles, Co. Tipperary, the festival is most well known for it’s game making and programming competitions, as well as hosting talks from industry professionals. We were honoured to be asked to exhibit and give a presentation to showcase GameSparks’ broad feature set and capabilities, as well as explaining how the platform is tailored not only to large companies, but towards smaller indie and student developers as well. I am no stranger to Games Fleadh. As a former student of LIT-Tipperary I was heavily involved in the running of the festival during my studies. The event has a tremendous amount of energy. Aspiring developers are always eager to show off their games, established professional’s keen to share the latest technological innovations, lecturers and professors trying to keep up! This year was no exception, the atmosphere was fantastic. We setup our booth and immediately garnered interest from people eager to learn about the platform (as well as play some “Disc Jam” from our friends at High Horse Games). Many aspiring developers assume the platform must be exclusive to professionals. We’ve experienced this sentiment before, and atop of supporting our local game development community, part of the reason we came to Games Fleadh was to demonstrate to students that GameSparks is a Cloud Engine for all users, no matter their size or experience. In fact, the GameSparks platform is free to register and prototype with, and we also offer an Indie & Student programme which provides the first 100,000 MAU’s of a live game without charge! 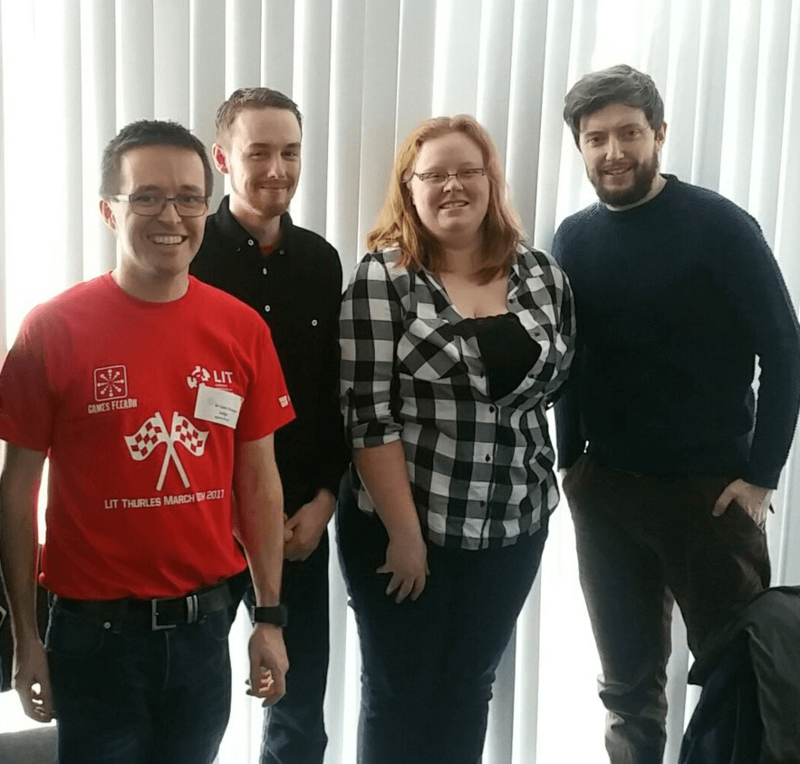 The competition was fierce amongst the entrants to the Game Studio Ireland competition. Many of our support team in the Dublin office were game development students from various colleges around the country, so witnessing this tradition continue on was great to see. The theme for this year was “racing game”, and there were lots of creative and unique ideas on display, built in a wide array of engines and architectures. One of the winning games was in fact powered by GameSparks! 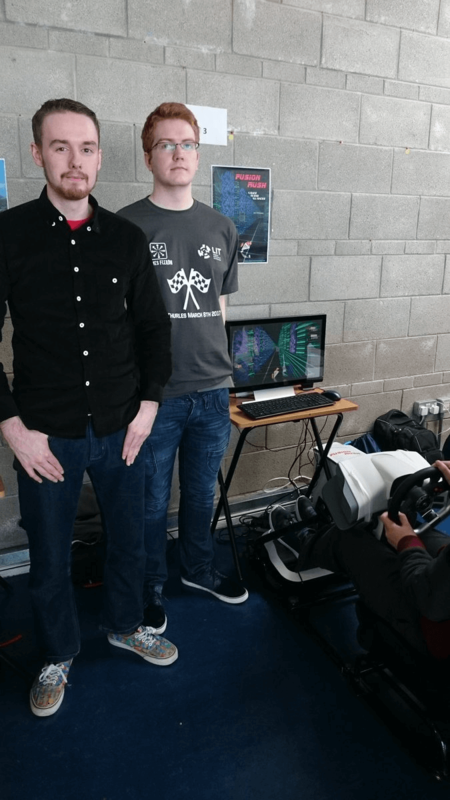 “Fusion Rush” by Darren Sweeney from IT Carlow is a 3D racing game. The game was developed from the ground-up in a custom-made OpenGL based engine. In the game, players try to race to the finish line, wherein their time is saved to a Daily Leaderboard. 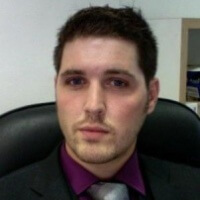 One of the more interesting features, and a creative use of the GameSparks platform, was the game’s use of Downloadables. Each day, a random seed is generated and stored within GameSparks. This seed is then downloaded to each client running the game, the engine builds a level based on this seed within specific parameters. The game won “Best in Visual Engineering” and we are proud to have been able to make the game experience better in this regard. “Fusion Rush” by Darren Sweeney. 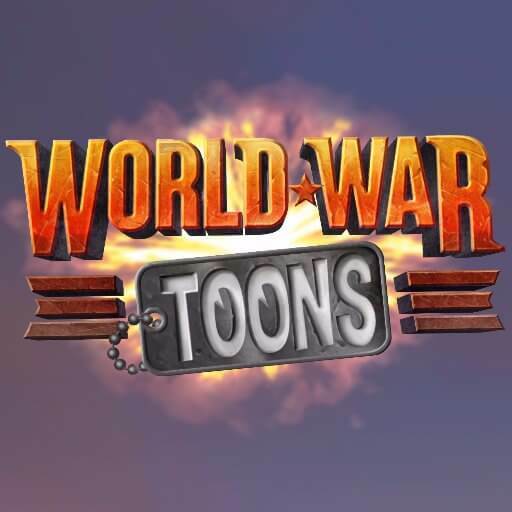 Winner of “Best in Visual Engineering” and Powered by GameSparks. 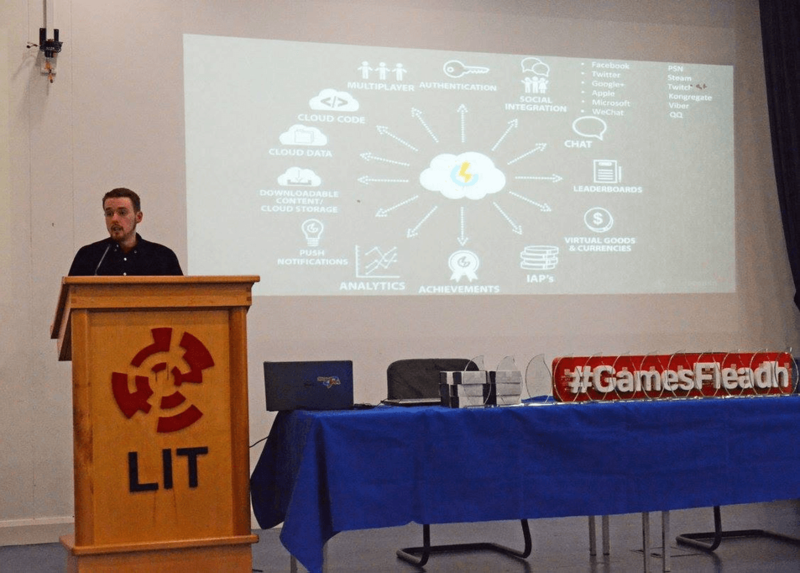 I also delivered a presentation on “Making your Games Better with a Backend” at GamesFleadh. During the presentation I mentioned many of the strongest features of the platform, including Social, Multiplayer, Player Storage and Analytics features. Through a live demonstration, I was also able to show how users can configure an enemy’s speed in a live game using GameSparks. 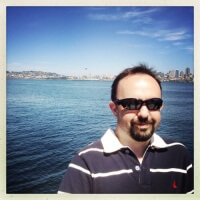 This means there is no need for patches or hotfixes to game clients in areas regarding balance and player feedback. This kind of configuration is why we believe LiveOps is such a vital part of the development lifecycle, and we are committed to making it a painless process for all our developers. We’re extremely grateful to have been invited to Games Fleadh. We believe engaging with studying developers is paramount in cultivating a community of users who will not only become evangelists for game development, but who will also fuel the next generation of the games industry. We had a blast attending the Games Fleadh, and are eagerly anticipating next year’s event!